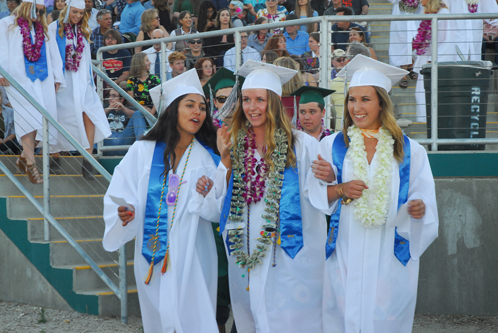 On Thursday evening, 188 Templeton High School graduating seniors received diplomas at the Eagles Stadium in the small community of Templeton. 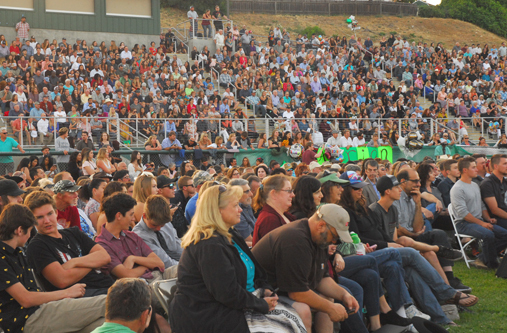 Parents, family and friends filled the seats leaving only the lawn for late attendees. 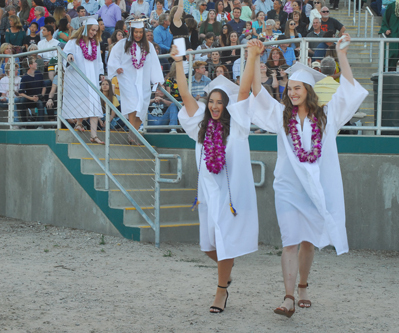 The out pouring of emotion was truly a warm display of love and commitment to the young students. 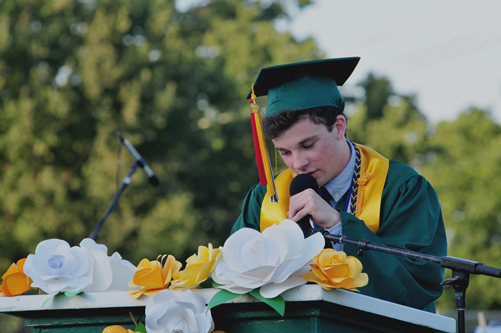 Associated Student Body President, Ryan Lebens spoke of the graduating class accomplishments, thanking the teachers for being dedicated to their profession in helping them in facing their future with a sense of gratitude. Ryan Lebens, associated student body president, speaking to the graduating class of 2018. 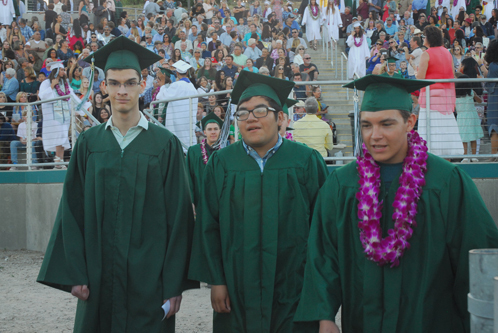 Reese Rucker, Sergio Perez and Adam Sherwin pictured walking into the commencement area. 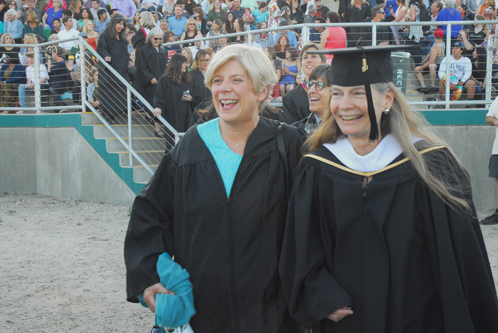 A colleague walks with retiring teacher Diane Mayfield into the commencement area.